Bob Edward’s (Founder and Managing Director) first steps into the ‘Motorcaravan’ industry came during the years of 1964 – 1976 at ‘the Jem’ the Midlands based Volkswagon dealership. These were very early days for the industry, but during Bob’s tenure at the Jem they became one of the largest retailer & wholesaler for a number of different motorcaravan brands including; Motorhomes International, Autohomes, Devon & Auto Sleepers. Due to Bob’s success with the new industry of motorcaravan sales he was approached by a local ‘Le Mans’ race team that had visited the USA racing and decided to start importing the RV’s (recreational vehicles) they had seen for the first time during their visit. The RV’s unfortunately did not complement their main racing business and sales were slow, so they asked Bob if he would help sell the remaining stock they had imported. Bob agreed to start selling the American product, rarely seen before in the UK – ‘Travel Cruiser’ RV’s and had an instant success. After less than 12 months Bob was offered the opportunity to buy the company set up to import and sell Travel Cruiser RV’s and Travelworld Motorhomes was born. For the first time in his own premises Bob started trading in earnest under the new trading name ‘Travelworld Motorhomes’ and became one of the first ever UK based American RV dealerships. Bob also carried across the success of the VW based product to the new site and in 1978 became an importer of ‘Westfalia’ pop top roofs. In 1981 after many years of Bob selling other companies VW products and often being disillusioned with the lack of creativity he decided to step into an entirely different side of the industry and began producing his own VW motorcaravan conversions under the name of ‘Diamond RV’. The new facility was opened in Leighton Buzzard next to the Motorhomes International production facility where Bob managed to entice key members of that factory to join him in the new venture. Diamond produced products with features never before seen in the industry and truly shocked the established brands. On the back of the success of Diamond RV, Bob decided to create another brand to fit alongside the VW conversions, a coachbuilt motorcaravan manufacturer – ‘Pioneer Motorcaravans’. Knowing the importance of being positioned in the caravan/motorcaravan production heartlands Bob opened the Pioneer facility in Hull and managed to acquire council funding for his new ambitious venture, producing real motorhomes. During the mid-1980’s Travelworld’s involvement with American RV’s altered dramatically when Travel Cruiser was acquired by GULF STREAM COACH, a much larger recreational vehicle manufacturer. Rather than accepting the loss of Travel Cruiser Bob managed to negotiate a deal with the new company and began importing Gulf Stream Coach RV’s almost straight away. This was the start of a long and extremely rewarding relationship for both parties. With the benefit of Gulf Stream’s increased production size Travelworld started importing and selling volume of RV’s in the UK never seen before. Making certain models legends in their own right, such as ‘Sun Sport’ & ‘Sun Voyager’. Due to the success of the Gulf Stream relationship Travelworld decided to focus purely on American RV’s, and set about monopolising the American RV market in Britain with sales of Gulf Streams all through the 1980s and 1990s. During the 1990’s the UK American RV industry grew exponentially and of course competition increased. By 1994 Travelworld were looking to take that next step and push the industry further than ever before – ‘MONACO COACH CORPORATION’ were that step. With production facilities in both Indiana & Oregan Monaco specialised in high quality and prestigious coaches and were recognised as being the largest ‘high line coach’ manufacturers in the world. Throughout the 2000’s Travelworld became recognised as a specialist of high quality motorhomes and imported some of the highest valued vehicles even seen on the UK market. During 1998 both Ross Edwards (Bob Edwards’s son) and Annabel Macquarie (Bob Edward’s Daughter) joined the business full time. 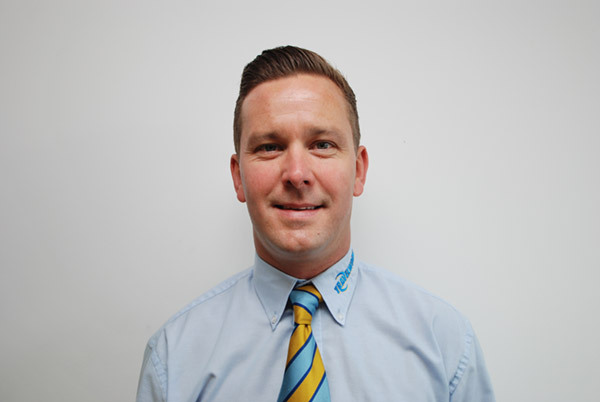 Ross was predominantly focused on the sales side of the business and Annabel Customer Service which made for a good working partnership. Throughout the 2000’s Travelworld’s RV sales steadily grew and they also became factory appointed agents for factories as diverse as Newmar, Fleetwood, Holiday Rambler, Coachmen, Forest River and Thor industries. Travelworld not only became the largest American RV dealer in the UK, it became the largest importer and stockist outside of North America. During the early stages of the worldwide recession America was hit hard and few industries were hit harder than the RV industry. In 2009 there were a reported 23 separate RV manufacturing companies that went out of business, including two of the largest companies in the industry; Monaco Coach Corp & Fleetwood Industries – between them counting for volumes in excess of 35,000 units per year and employing over 10,000 people. Due to the loss of their main supply of products, as well as many other major factors including the lowest Dollar exchange rate for 35 years, new industry homologation / type approval of Motorhomes for the first time in the UK and of course the retraction of the market in the UK down 45% across all areas. Regrettably it became unviable for Travelworld to continue importing and selling American RV’s. Timing is everything in life and as luck would have it during early 2009 a long established premium German brand were looking hard in the UK for a new trading partner. Having dealt with RV’s for so long the ‘normal’ British brands were far removed from Travelworld’s ethos, however the German brands and industry had many similarities with the American market. Travelworld agreed terms with Niesmann + Bischoff in March 2009 and managed to negotiate the sole UK rights for the brand. This was the first step back into selling British/Continental product for nearly 25 years and was very much the main stream segment of the industry in the UK. Where Travelworld had been a ‘big fish in a small pond’ – this was the big pond! To supplement Niesmann + Bischoff and grow volumes additional franchises were signed including Chausson, Auto Trail and Rapido. The Travelworld team set about learning this new side of the industry they were now involved in and making the necessary changes required to best suit the new product and represent the European brands in the most professional way possible. It certainly did not go unnoticed by the Travelworld management that Niesmann + Bischoff were owned by the ‘Hymer Group’ – a group of companies owned by Hymer brand (One of the largest motorhome manufacturers in the world) and a company long admired by the Edwards family. Unfortunately Hymer brand had long been linked exclusively to a dealer network in the UK for many years and so impossible for Travelworld to acquire, however during 2011 that relationship ended and suddenly Hymer were looking for a new dealer network in the UK. Thankfully in part due to the relationship with N+B and also the proactive approach towards Hymer finally Travelworld were awarded the franchise in early 2012. 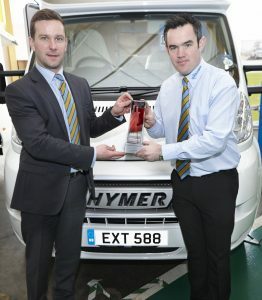 The association with Hymer has grown from strength to strength and during 2013 the factory approached Travelworld to become an exclusive dealer, this effectively meant breaking long standing ties with brands not associated with Hymer and committing to only selling brands within the ‘Erwin Hymer Group’. Timing is everything – and the timing felt right! From the 2015 model year Travelworld committed to Hymer 100% and are now an exclusive dealer. This included taking on new brands within the group such as ‘Carado’ – Hymer’s entry level product built in the incredible Capron production facility and Hymer Car, the brands van conversion department built in Bad Waldsee in the main production facility. Plus Travelworld were also granted sole UK rights for the chassis accessory manufacturer Goldschmitt, this brand had been very successful in Germany for over 25 years and was acquired by the Hymer Group in 2014. 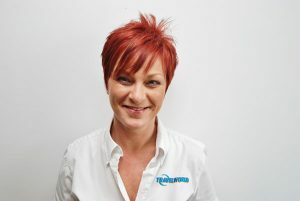 Even during the incredibly difficult period the Motorhome industry has experienced during the recession years Travelworld has never stopped investing in its facilities, customer services, staff training and the wider industry. 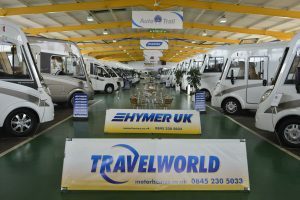 Travelworld currently has one of the largest motorhome showrooms in Europe and a facility covering 40,000sqft set in 4.5 acres of practically landscaped dealership space including 15 service centre bays. Now one of the largest dealers in the Midlands and the UK Travelworld continues to serve the motorhome community to the best of its ability as it has done for nearly 40 years. Today there are three generations of the Edwards family working within the business and the family plan on making it another 40 years!